The Enormous Modeling Module (EMM) in DepthInsight TM supports multi-user scenarios that allow users to work simultaneously on different parts of a reservoir and then merge the results back into the main or enormous master model. 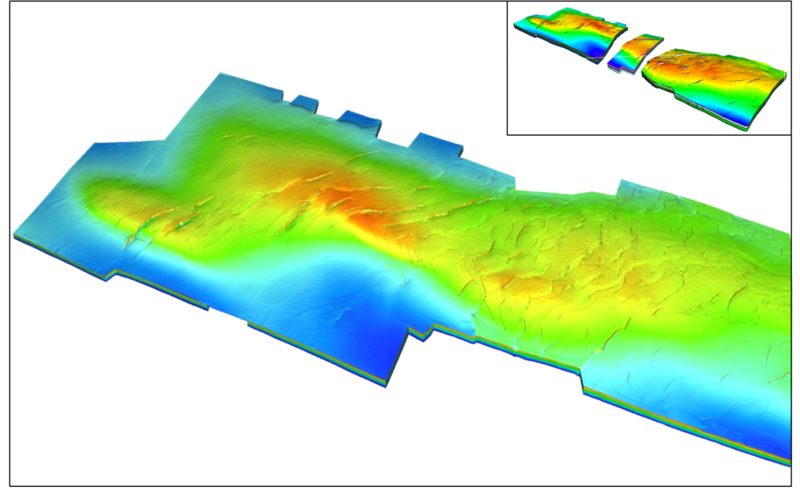 There does not need to be a compromise in the size of the models and they can be very high resolution for the basin scale and maintain that for the user specific models. This eliminates the problem have in creating a basin model that is a coarser scale than the local models. 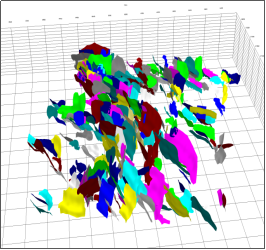 It enables you to build a consistent and coherent enormous model without scalable limits and resolution limit, even at the scale of the well log data. It supports multi-users to build different sub-regions simultaneously and then the sub-models can be seamless merged back into an enormous model. Any part of the enormous model can be easily downloaded and updated. Model the reservoir without any limits or constraints and the model is seamless. Allow multiple users to check out and update any different part of the model and check back in the results into the master model. One place for the model to live and stay current through time and not have to rebuild from scratch every time. Today enormous models of billions even trillions of cells have been created. Descriptions: This video demonstrates a real project in china’s largest oil field. We use the grid size of 20meter*20meter in an area over 2500 square kilometers. How do we break away the limitation of high resolution and large scale? What’s its working pattern and features? 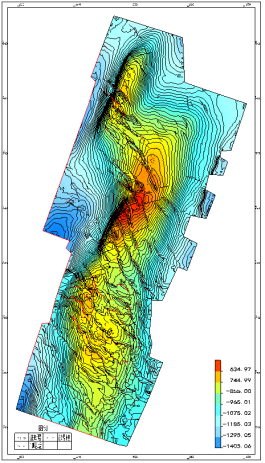 A integrated model with multiple seismic areas. 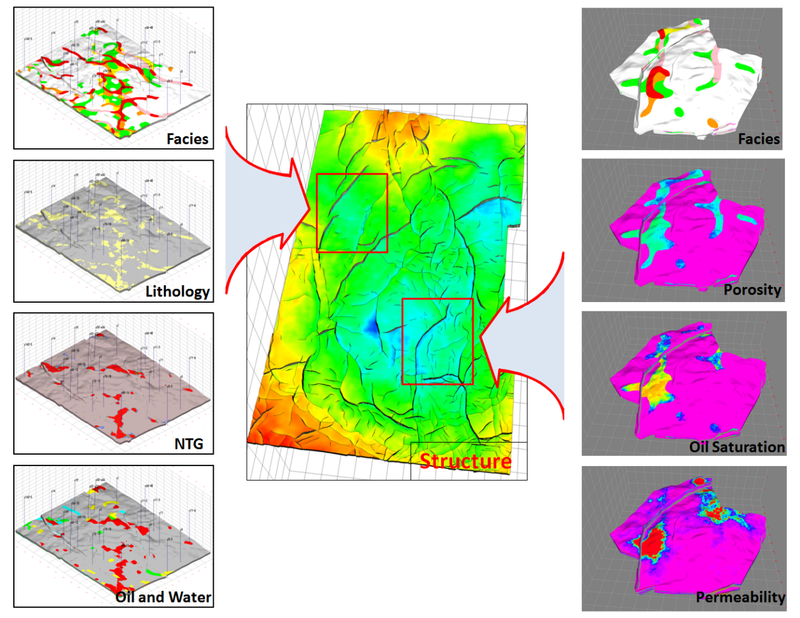 A integrated reservoir model including structure, facies, lithology, physical property, NTG and oil and water distribution. The enormous modeling module cannot be used separately for modeling. The enormous modeling module does not provide specific modeling functions, such as surface generation, property interpolation etc. 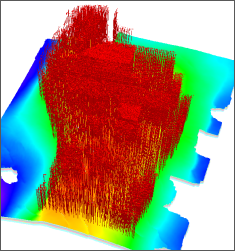 It shall be used with structural modeling module, velocity and attribute modeling module or reservoir modeling module to build the enormous model.